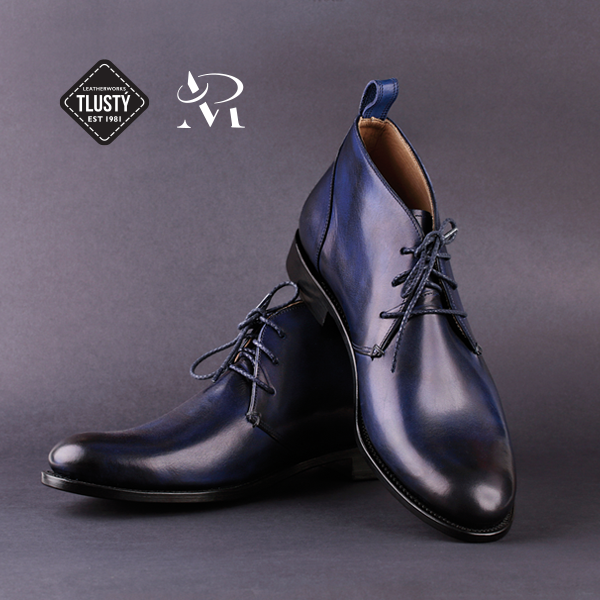 Gift Voucher - Shoes | Tlusty & Co. Gift voucher for custom-made shoes. The shoes are leather-trimmed, classic, Blake technology. For convenience, we chose a hoop that fits the shape of a "Slavic" wider leg. Shoes are made for each custom-made customer. They are made of premium Italian cow leather, lined either by beefskin or furry fur. In our workshop, you can try out test shoes in sizes 41-48 and arrange individual measurements. - Outsole: You can choose either a durable synthetic rubber outsole or an elegant leather outsole. The voucher can be bought at the exact price according to the equipment (choose from the variations in the roulette or call in advance). If you would like to have some additional options on site, you can pay the price difference on the spot.